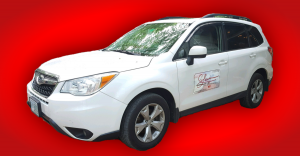 Vehicle magnets are a fantastic way to give your business exposure everywhere you drive or park. It’s easy to customize and relatively inexpensive to change your message at the drop of a hat. 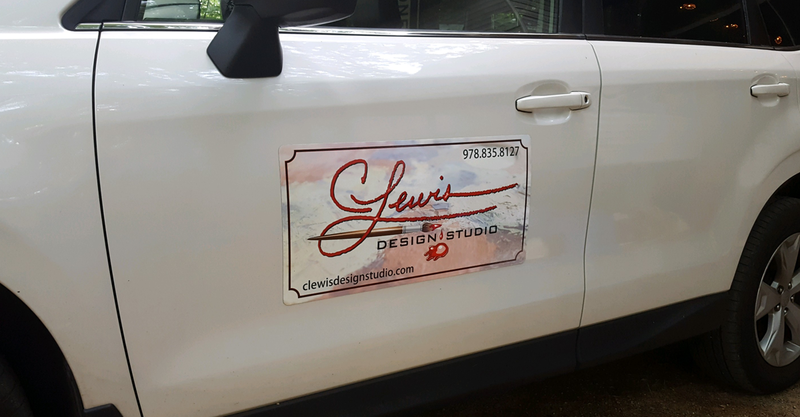 Yes, we design and sell top quality, full color vehicle magnets that are UV laminated (gloss or matte) for protection against dirt and color fading. The corners can be square cut or rounded. One of the best parts of purchasing your vehicle magnet from us is that you get expert graphic design with over 26 years of experience. 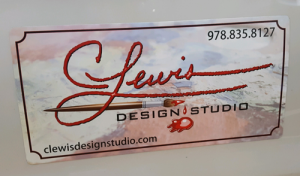 You may have noticed from past posts that we happily provide a number of graphic design and associated products for C Lewis Design Studio, including logo design, business cards and vehicle magnets. Read on for more info on Christine Lewis and her artwork. I recommend that you check out her website and FB page. Contact us for more info on how we can make your vehicle look great and act as a fantastic 24/7/365 marketing tool, and do it for a very reasonable cost. When you think about it, once you install your vehicle magnets your marketing message is continuously delivered for free. A steal! Outstanding work and I loved the final results!! Thanks again Ken!! You’re very welcome. Thank you for your business.